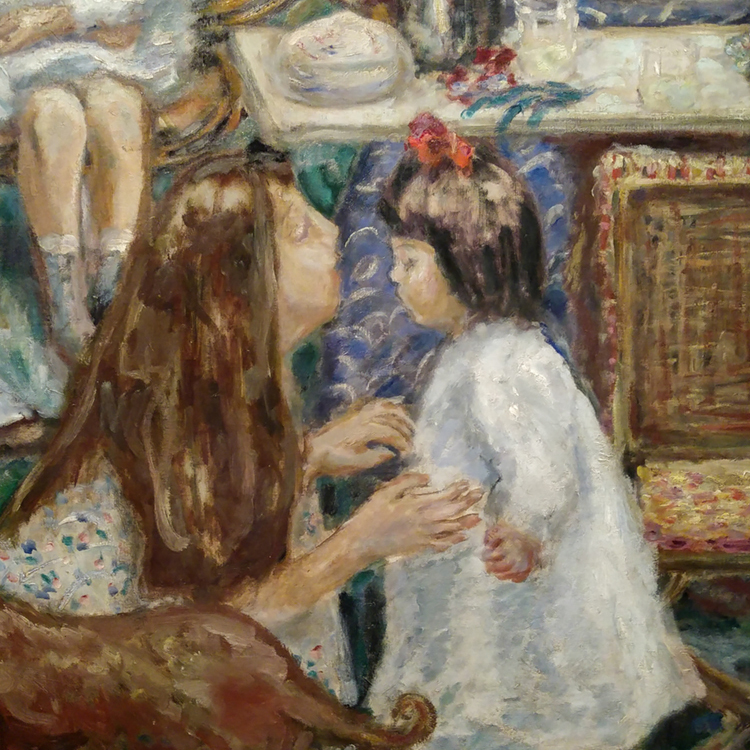 Lucky me, I had an art day today with my pal, Jan. We visited the Legion of Honor's final week of the Pierre Bonnard Exhibit in San Francisco. There is just something so magical about seeing art LIVE vis a vis viewing art books and internet viewing. Please treat yourself to LIVE art as often as you can. It's good for the soul. 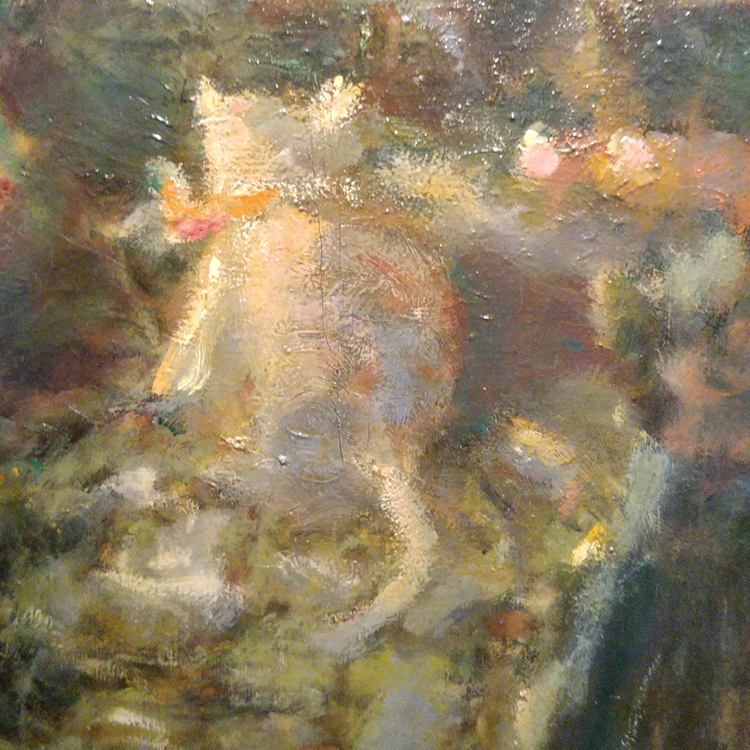 And ended with so many golds, yellows, red, red oranges, and alizarins later on in his paintings. Quite a temperature journey from cool to warm! 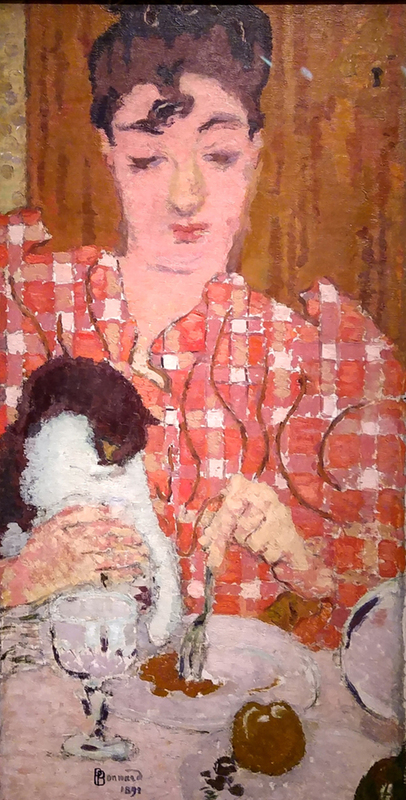 His subjects were almost all very intimate, homey, family and filled with animals. He did do some very large scale mythological paintings which weren't my personal faves. 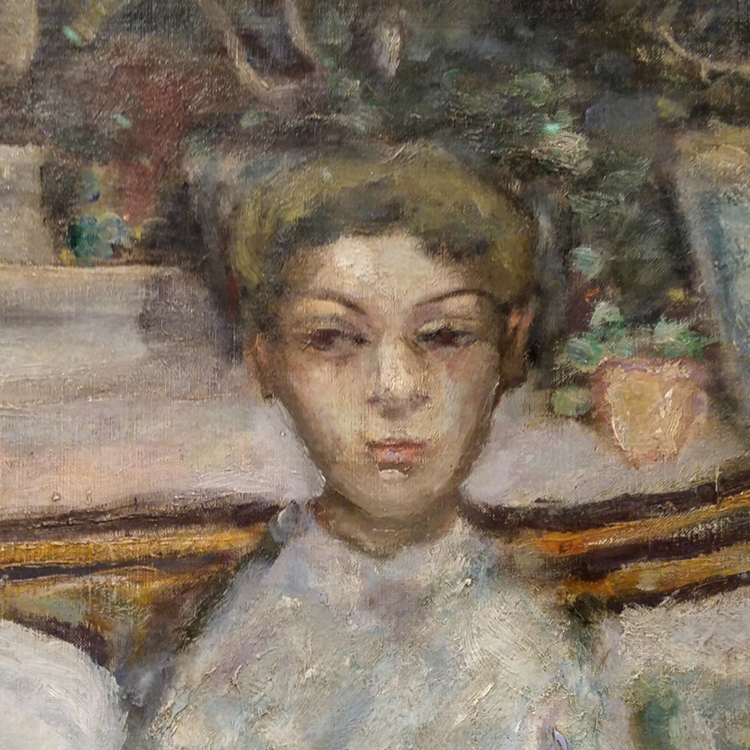 But as paintings they were still masterful and amazing. And huge! 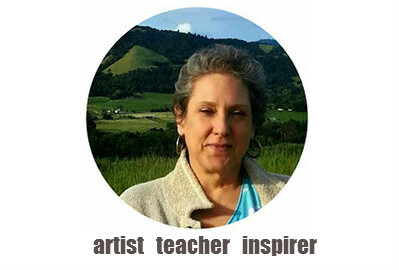 What did i learn, get inspired by? Composition, composition, composition. Amazing division of space. 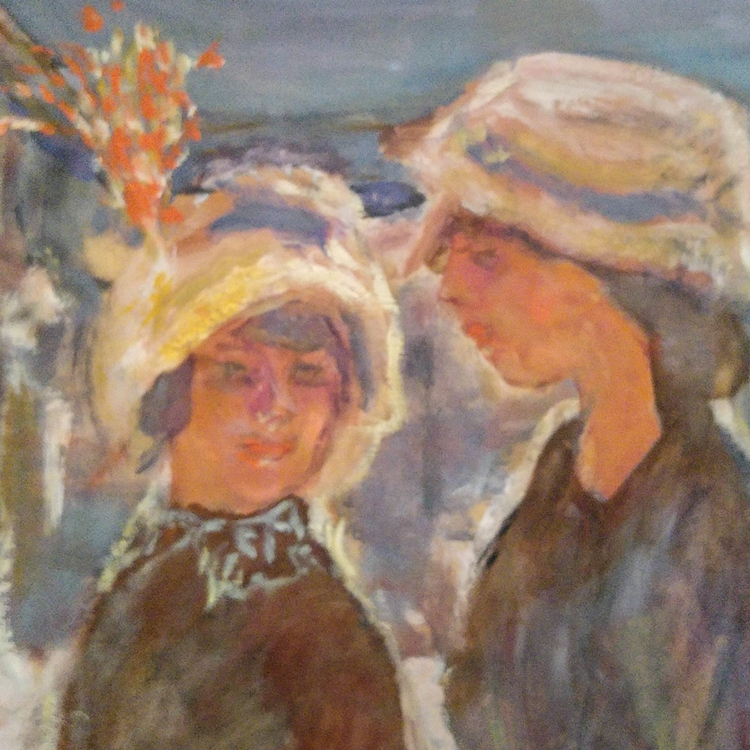 My friend Jan says that Diebenkorn was inspired by Bonnard. That figures. 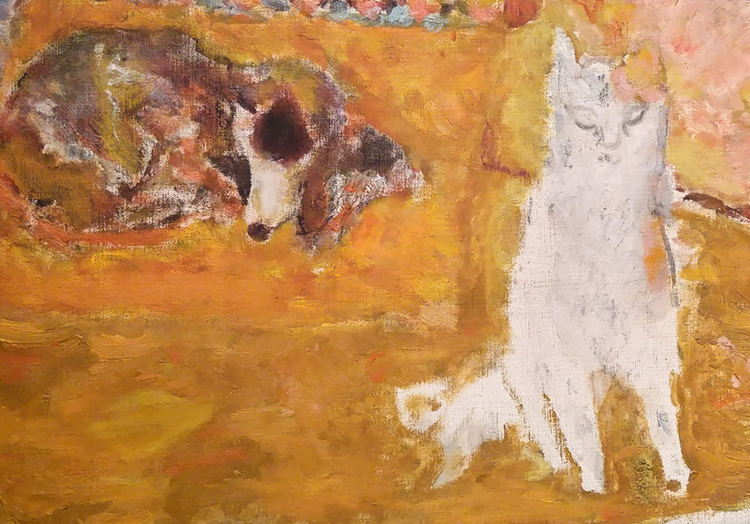 So since his canvases were really quite large, I spent time photographing the smaller elements within the large canvases that I particularly swooned over - faces and furry ones. No big surprise there. I love me a good closeup. Here you go, enjoy my museum day! First, some figures.... Notice how soft the facial features are. And still so expressive. 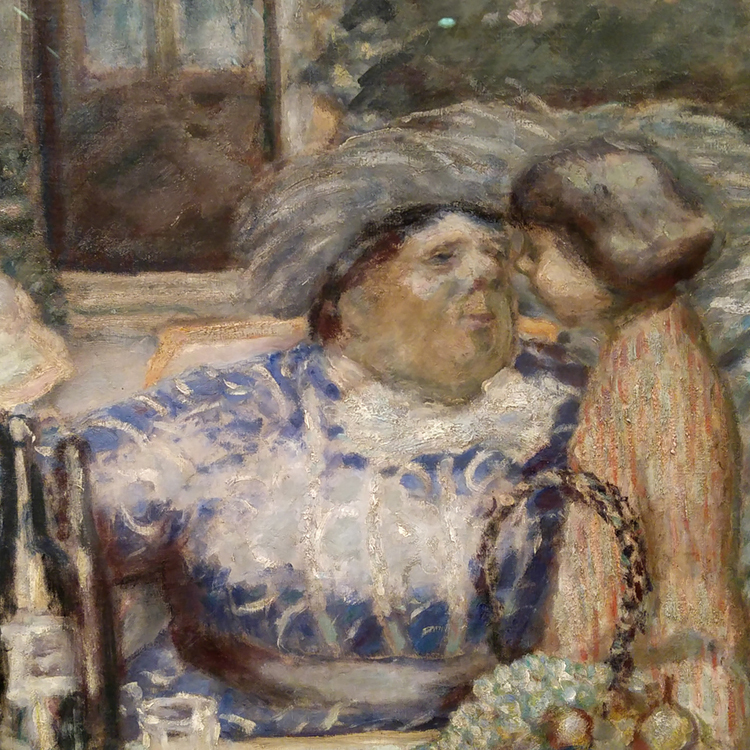 My personal favorite painting of the day was an earlier work of Bonnard's entitled The Bourgeois Afternoon. See it here. I have a few detail shots below. 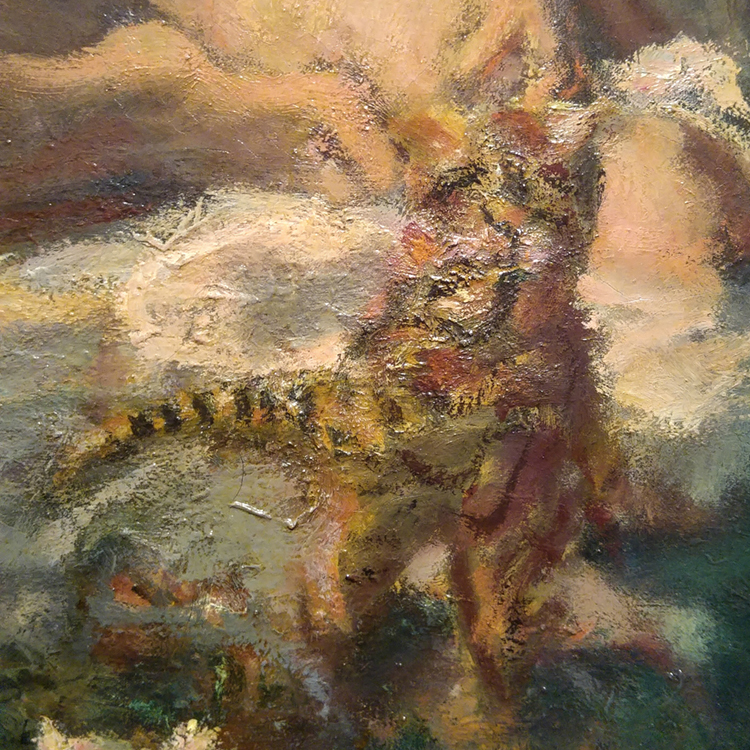 For a bit more exploring try this wikiart link on Bonnard. 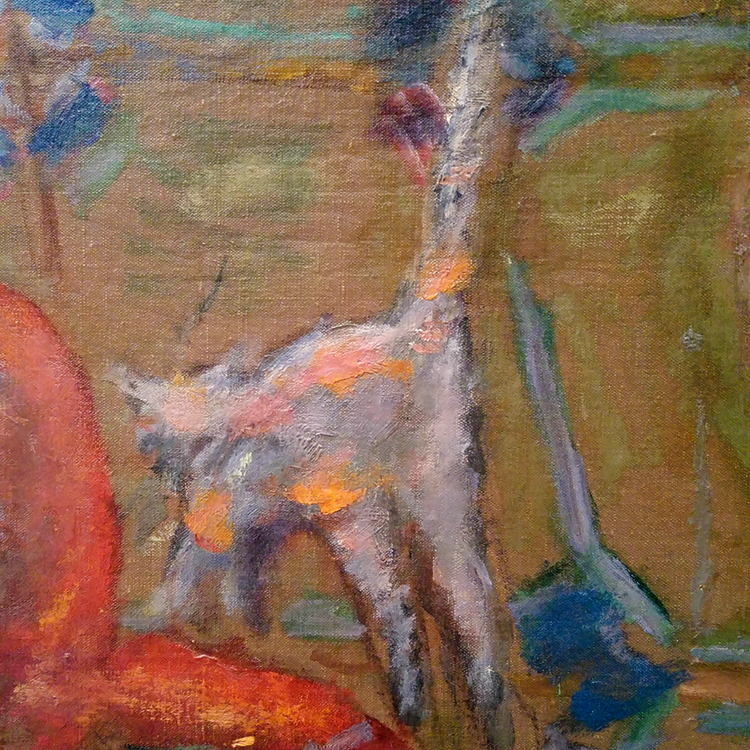 And now for a few furry friends that show up everywhere in Bonnard's painting. Like everywhere! His subjects are very subtle so the longer one looks at his paintings the more figures and animals one sees. Magical! 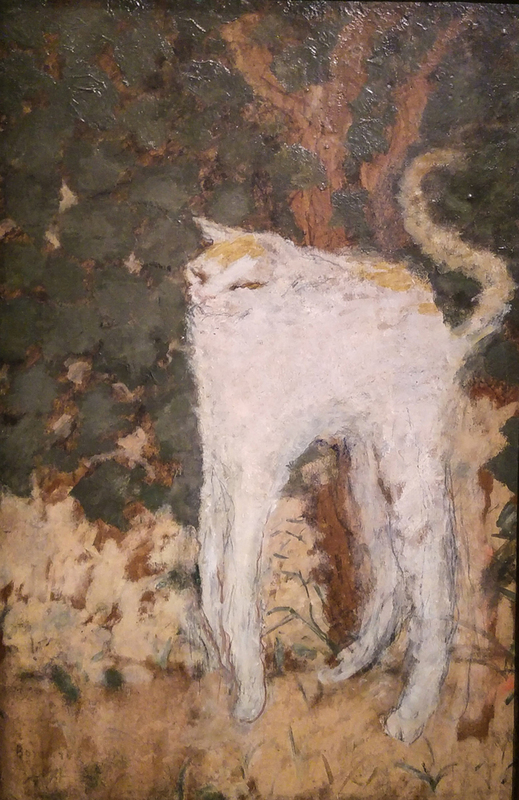 I absolutely must try painting a long legged cat, don't you think?? **I'm so glad they let you take pics in the museum now!!!! Wonderful colors. 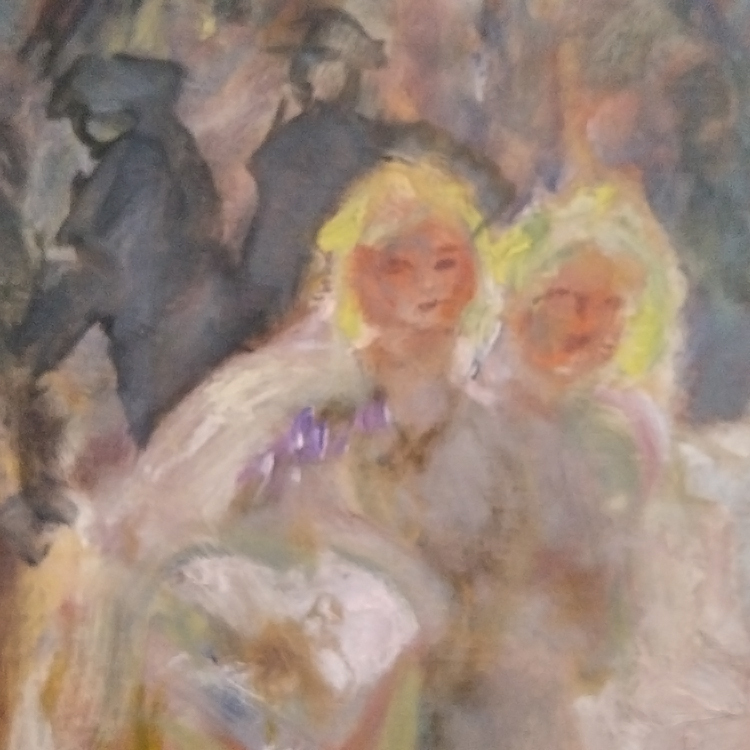 My favorite of these is the face of the woman in the first painting. Beautiful. 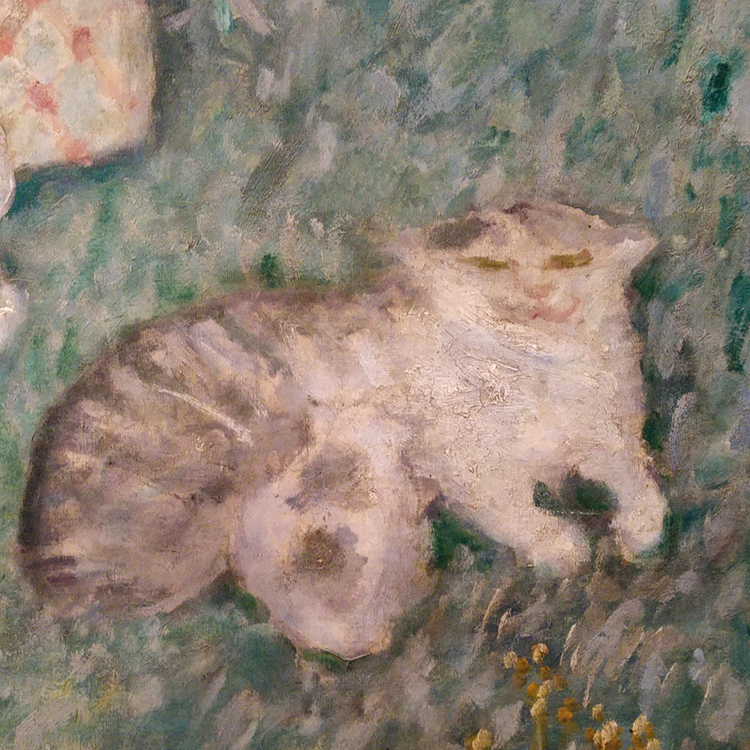 I was so sad not to be in California to see the Bonnard exhibit. I have seen his originals in many different places and I never, ever tire of seeing more! So glad you got to send the day with his work. 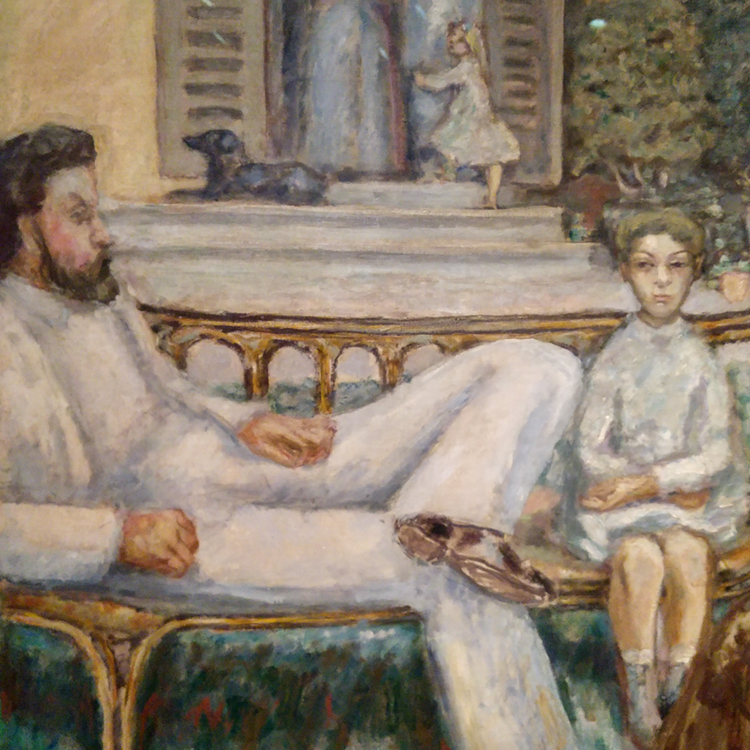 Just saw a film about Renoir and his final period of work which is in the Barnes in Pennsylvania. What similarities! 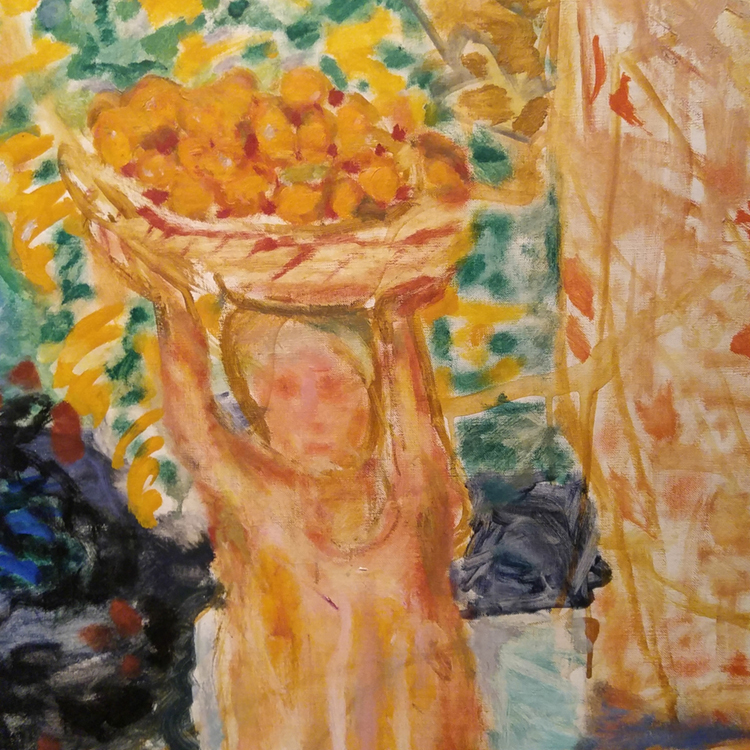 Did Bonnard study Renoir? You are definetly channeling Pierre in your fury friends and figures. Thanks for your in sight. Would have loved that exhibit. 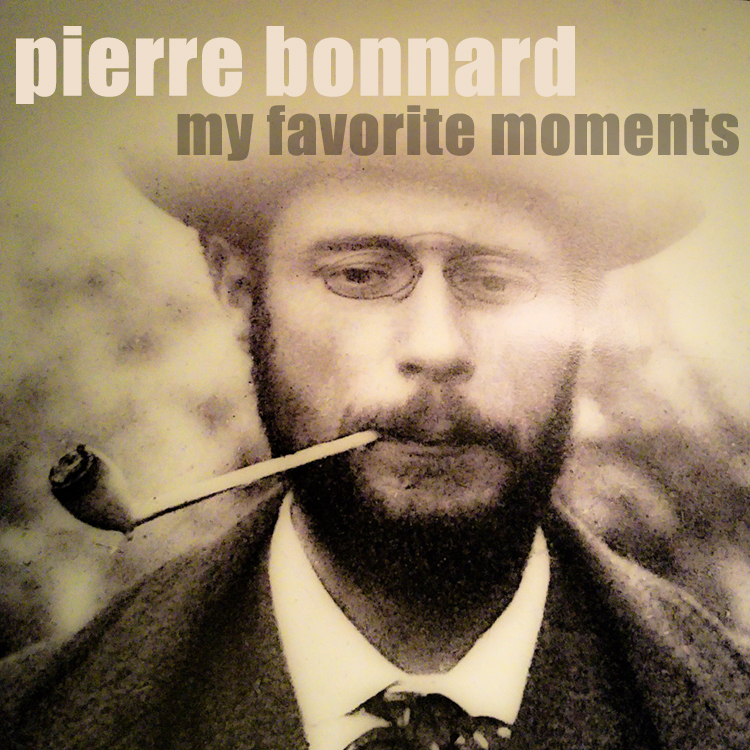 Great question, and I have no idea who Bonnard studied with. 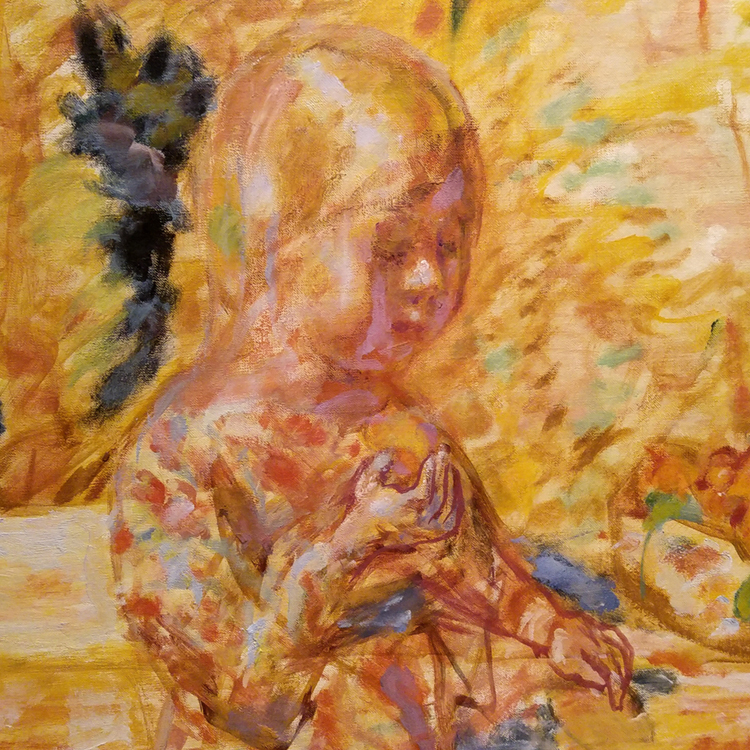 But found this fab site, http://www.theartstory.org/artist-bonnard-pierre.htm. 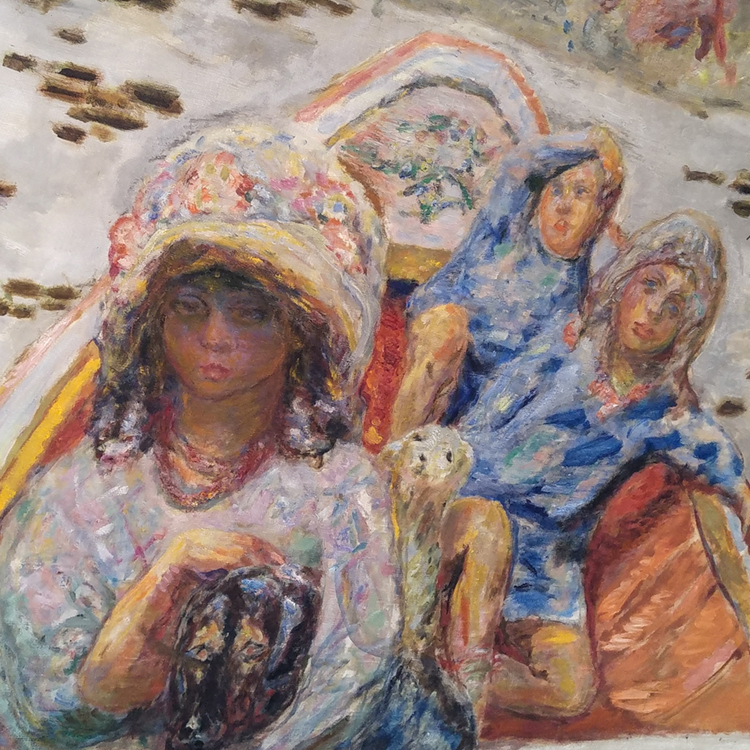 Since Renoir was an Impressionist, and Bonnard a post-impressionist, he certainly followed him date wise, and was more than likely influenced by his work. Glad you enjoyed this post.